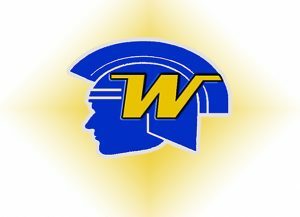 More than 3,000 students attend Wayzata High School in Plymouth, and while the school is certainly notable for academics, the students are certainly not immune to some of the issues facing society. Especially when it comes to the use of e-cigarettes. Partners in Prevention is a local organization that works to prevent and reduce youth substance abuse. On Wednesday morning, she helped lead a discussion for a group of several dozen Wayzata parents on the dangers of e-cigarette use, which is commonly referred to as vaping. “Last year’s national tobacco survey indicated that 3.6 million teens are vaping,” Wobschall said. E-cigarettes are promoted as being a safe alternative to smoking. But experts from the MN Dept. of Health and the Food and Drug Administration have raised concerns because the liquid in e-cigarettes contain nicotine and a variety of other chemicals that could lead to addiction. In fact, Wobschall says that the liquid in just one e-cigarette pod is equivalent to 20 cigarettes worth of nicotine. The news was certainly surprising to many of the Wayzata parents in attendance. “I did not realize the amount of nicotine and other chemicals that are part of the vaping experience,” said Annette Jackson, a parent who has two children at Wayzata High School. She plans to have a discussion with them about vaping. “I’m gonna ask them questions about what they think addiction looks like in a high school student,” Jackson said. The hope is that other parents follow suit, so they can help stop the problem now before it gets worse. “We’ve taken on big tobacco before, and we’ve won,” Wobschall said. In the coming days, parents in the Wayzata School District will be getting brochures in the mail with more information about vaping.